In Sony Pictures Animation's first feature film, the animated action adventure comedy Open Season, the odds are about to get even. 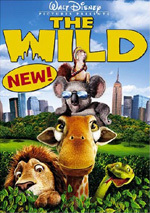 Boog (Martin Lawrence), a domesticated grizzly bear with no survival skills, has his perfect world turned upside down when he meets Elliot (Ashton Kutcher) a scrawny, fast-talking mule deer. When Elliot convinces Boog to leave his cushy home in a park ranger's garage to try a taste of the great outdoors, things quickly spiral out of control. Relocated to the forest with open season only three days away, Boog and Elliot must acclimate in a hurry. They must join forces to unite the woodland creatures and take the forest back! $23.624 million on 3833 screens. For animation fans who can’t get enough of talking animals, Open Season might merit a look. The film introduces us to Boog (voiced by Martin Lawrence), a tame grizzly who performs with forest ranger Beth (Debra Messing). She contends with unpleasant hunters like Shaw (Gary Sinise) who live just to kill. On a visit into town, Boog meets a buck named Elliot (Ashton Kutcher). Shaw bagged Elliot, but the buck ain’t dead yet, and Boog frees him from the hood of Shaw’s truck. Shaw sees this and develops a severe desire to shoot the bear. Given Boog’s sheltered domestic state, this seems unlikely – until Elliot decides he needs to “free” the bear. Boog resists, but he gives in when Elliot lures him with a candy bar. When they trash a closed convenience score on a snack binge, local cop Gordy (Gordon Tootoosis) captures Boog and tries to convince Beth she needs to return him to the wild. She resists, but after another Elliot-related fiasco, she decides she must take him back to nature. 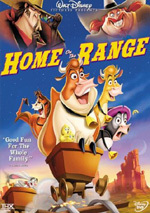 The rest of the film follows Boog’s attempts to return to town, how he reacts to other animals, his relationship with Elliot, and his attempts to avoid death at the hands of Shaw. With flicks like Madagascar and The Wild, haven’t we already gotten our fill of domesticated animals who get stuck in more natural habitats? I’d certainly think so, and while Season doesn’t simply emulate those prior efforts, there are more similarities than I’d like. Those factors make Season seem uninspired and almost like a sequel to the earlier efforts. I suppose Season deserves some credit for avoiding lions, though a grizzly bear essentially acts like a Northwest equivalent. Much of the attempted comedy comes from the contrast between the fierce power of a vicious beast and the animal’s tame, coddled state. These films put the critters in “fish out of water” circumstances to which they have to adjust. That general lack of inspiration spreads to all aspects of Season. The voice acting seems acceptable but never any better than that. Actually, Kutcher proves surprisingly winning as the annoying Elliot. He makes the character acceptably charming when necessary but adds a nice motor-mouthed quality to the role that allows Elliot to amuse. It’s not a great performance, but Kutcher offers arguably the most entertaining aspect of the flick. Otherwise, I can’t find any standout work from the actors. I suppose it’s a victory that Lawrence – an actor I don’t much like – manages to remain inoffensive here. He doesn’t add to the part, but he doesn’t detract either. The rest of the cast seems fine but not particularly memorable. Season suffers from the moderately hyperactive tone that negatively affects so much work of this sort these days. Modern animated movies don’t seem content to let stories and characters develop. Instead, they prefer to throw as many gags at us as they can, with plenty of wacky characters and situations. It doesn’t appear to matter if these fit the story; the filmmakers seem afraid to let the pace ease at any point in the fear that we might get bored, I guess. All of this leaves Open Season as a perfectly watchable but perfectly forgettable animated adventure. 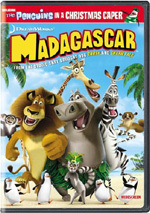 It doesn’t seem as relentlessly bland as The Wild, but it lacks the comic spark of Madagascar. This is the kind of flick that offers passable entertainment for an hour and a half and then completely leaves your memory. 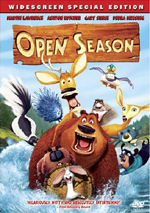 Open Season appears in an aspect ratio of approximately 1.85:1 on this single-sided, double-layered DVD; the image has been enhanced for 16X9 televisions. Computer animated flicks usually look good on DVD, and that trend continued with Season. Sharpness appeared immaculate. At no time did any softness mar the presentation. Instead, it appeared crisp and well-defined. Jagged edges and shimmering appeared absent, and I noticed no signs of edge enhancement. In addition, the movie suffered from no source flaws. Season featured a natural and vivid palette that the DVD replicated very well. Colors always came across with terrific clarity and life. The hues seemed well-rendered. Blacks also appeared deep and tight, while low-light shots were clean and smooth. This was a consistently positive picture. Though not comparable with the visuals, I also liked the Dolby Digital 5.1 soundtrack of Open Season. Much of the movie favored the front channels, but the mix opened up well when appropriate. All the animal escapades gave us some sonic activity, and the soundfield matched the film nicely. Music always demonstrated positive stereo imaging, and the effects created a realistic and involving sense of atmosphere. When the action heated up, the surrounds added a fine layer of material. Audio quality seemed positive. Dialogue always came across as natural and warm, and I detected no concerns related to edginess or intelligibility. Music appeared bright and dynamic, with concise highs and rich lows. Effects also were tight and realistic. Those elements betrayed no distortion, as they consistently appeared clean and accurate. The effects provided some decent bass response as well, though I thought that side of things could have been more forceful. The track wasn’t quite active enough to enter “A” territory, but it was still a very good mix. A pretty wide roster of extras accompanies Season. We begin with an audio commentary from directors Jill Culton and Roger Allers, co-director Anthony Stacchi, and producer Michelle Murdocca. All four sit together for this running, screen-specific chat. The track looks at the film’s origins, character design and story issues, cast and performances, animation topics, music, editing, and various trivia tidbits. A perky commentary, this one includes a reasonable amount of information. Unfortunately, that perkiness often renders it heavy on the happy talk. We get plenty of chipper remarks about what the folks like. That mars the presentation and almost negates the generally useful material that appears. This ends up as a moderately informative piece that suffers from too much praise for the film at hand. Also under the “Commentaries” domain come character chats referred to as Inside the Animals Studio. We discover short “commentaries” from “Mr. Weenie” (1:31), “Porcupine” (1:32) and “Maria the Skunk” (1:15). These present the animals as they comment on their acting experiences. They’re not particularly entertaining. A new short called Boog and Elliot’s Midnight Bun Run goes for four minutes, 31 seconds. In this cartoon, our heroes attempt to steal pastries from a campground trailer. Like the movie itself, it’s moderately amusing but not anything memorable. Two featurettes appear. Behind the Trees lasts 15 minutes, 13 seconds as it mixes movie clips, production materials and interviews. We hear from Culton, Allers, Stacchi, Murdocca, Sony Pictures Animation Executive Vice Presidents – Animation Penney Finkelman Cox and Sandra Rabins, executive producer Steve Moore, character setup supervisor Mike Ford, visual effects supervisor Doug Ikeler, Sony Pictures Digital President Yair Landau, head of story David Feiss, art director Andy Harkness, look development lead Joe Strasser, supervising animators Sean Mullen, Todd Wilderman and Chris Hurtt, hair lead Chris Yee, head of layout James Williams, senior art director Luc Desmarchelier, editor Pam Ziegenhagen, co-producer Amy Jupiter, and songwriter/composer Paul Westerberg. “Trees” looks at the origins of the project, character design and animal modeling, story development, various technical and animation issues, visual choices and influences, and score/songs. < Like the commentary, “Trees” suffers from a lot of happy talk; we hear many pleasantries about the flick. However, it offers a greater focus on actual facts and less on praise. This allows it to provide a generally informative take on the project. I wouldn’t call it a fascinating featurette but it does the job. The Voices Behind the Stars fills seven minutes, 35 seconds and includes notes from Rabins, Cox, Moore, Culton, Allers, Stacchi, Murdocca, co-head of story Donnie Long, and actors Ashton Kutcher, Martin Lawrence, Debra Messing, Billy Connolly, Jon Favreau, Jane Krakowski and Gary Sinise. As implied by the title, this show looks at cast and performances. We get a nice glimpse of vocal choices and development, and I always enjoy shots from the recording sessions. Those make “Stars” informative and entertaining. Two Deleted Scenes run a total of two minutes, three seconds. We find “Forest 102” (0:38) and “Facial Tick” (1:25). Both appear as storyreels; these show filmed storyboards accompanied by dialogue, music and effects. “102” is forgettable, but “Tick” is actually kind of funny. I don’t know if it should have made the final flick, but it’s amusing to see here. We find a music video for “I Wanna Lose Control (Uh Oh)” by Deathray. The cheapest kind of video, this one just offers a montage of movie clips accompanied by the tune. Skip it. Under Surf’s Up we locate some elements to promote that upcoming animated flick. We see an “Exclusive Sneak Peek” (1:46), the movie’s “Theatrical Teaser Trailer” (2:19), a “Meet the Characters” collection of eight stills, and web links. These are fine if the film interests you, but don’t mistake them for anything other than promotional material. Three elements pop up under the banner of “Activities”. Voice-A-Rama lets you try different voices for various characters. It’s a cute piece as we hear unusual takes on the roles. We also find some that offer the lines in different languages. Wheel of Fortune: Forest Edition lets us play a variation on the popular TV game show. It shows you clips from the film and requires you to identify elements. It’s a trusting game, as you tell the player if you’re correct. This never becomes particularly challenging or interesting, and it goes on forever before it finally ends. At least it comes with a reward: an alternate “I Wanna Lose Control” music video. “Activities” ends with a scene deconstruction for “Swept Away”. This three-minute and 12-second piece starts with an introduction from Stacchi. He tells us how the deconstruction works before we checkout the dam burst sequence. We get four angles: storyboards, layout, animation and final lighting. There’s also a composite screen that shows all four at once. This is a typical feature for animation DVDs, but that doesn’t make it less satisfying; it’s a good way to examine the various stages. Ringtales offers three very short promotional cartoons. We find “Rabbitball (0:18), “Security Camera” (0:19) and “Camouflage” (0:16). It’s not clear where these clips originally ran, but they’re fun to see. Some stills appear in the Galleries. These split into “Environments” (16 frames), “Characters” (36) and “Beat Boards” (8). These are all good to check out, as they offer nice conceptual art. Three Easter Eggs appear on the DVD. All are easy to find – just muck around the various menus and you’ll get to them. They show early test footage, but don’t expect anything stellar. The DVD opens with an ad for Surf’s Up. This also appears in the Previews area along with trailers for Zoom, Monster House, RV, It’s a Big, Big World, Are We There Yet? and Daddy Day Camp. Anyone who looks to Open Season for an inspired animated romp will depart disappointed. The movie avoids the bland mediocrity of some flicks but never manages to make its own name for itself. It feels too derivative and doesn’t boast much to allow it to amuse or delight. The DVD presents excellent picture along with solid audio and a collection of reasonably interesting extras. This is a good release for a second-tier animated flick.